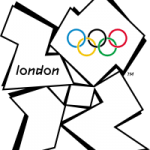 As the summer 2012 Olympics quickly approaches, an estimated 4 billion people will tune in to watch their country’s top athletes compete (NPR). This is an enormous opportunity for any company to drive marketing efforts and reach a massive audience, however, due to Rule 40 it is an opportunity that only official sponsors of the London games can truly take advantage of. Rule 40 in the Olympic Athlete Code of Conduct institutes a “blackout” period from July 18-August 15; during which athletes cannot be seen in any types of advertisements or commercials from corporations not sponsoring the official Olympic Games. Unauthorized appearances can result in athletes being disqualified from competing. The International Olympic Committee (IOC) uses the rule to protect the interests of companies who have paid a significant amount to sponsor the games, but in doing so, greatly hurts the event’s main attraction: the players themselves (Swim Swam). Today, most Olympic athletes do not earn any money for their full-time commitment to train and compete for an Olympic gold. Instead, these athletes rely on income from corporate sponsors including Subway, Nike, AT&T and P&G. During the Rule 40 period, however, many athletes will not be permitted to have their names or faces played in the commercials which ultimately provide them with the means to compete (Money Under 30). 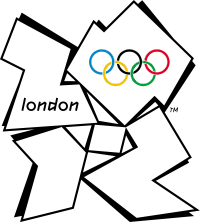 The IOC marketing freeze, in essence, works to maintain or, in some cases, increase profits for the sponsors and ultimately for the games themselves. Although roughly 4 billion people will watch the 2012 Summer Games, it is guaranteed that during that time no person will watch Michael Phelps eat a Subway sub on their TV screens, but they will continue to see Ryan Lochte with his P&G brand Gillette razor.